We love pasta around here. But the package directions, and most cookbooks, call for huge amounts of water. Boiling all that water takes time and money. The cookbooks are wrong. 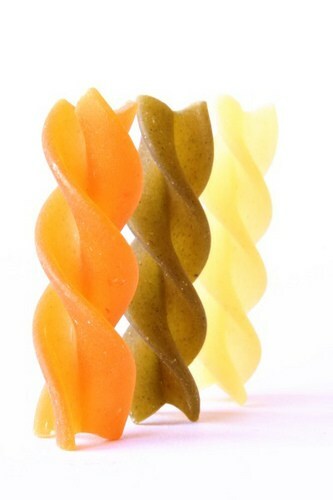 Here are ten creative ideas for making pasta frugally. Cook as usual, but use less water. Start with half the amount you usually use. The pasta will cook just fine, but you will need to stir it every two or three minutes to prevent sticking. If you get distracted easily, set the timer. Use an electric kettle instead of the gas to heat up the water, then transfer it to a pot on top of the stove. It’s more efficient, but keep in mind that electric kettles need to be replaced frequently. Cover the pot so that the water will cook faster. Now my mother did not do this, and I’m sure she had a reason. It was probably to give the chlorine from tap water a chance to escape. Covering partway will have the same effect. Keep off the cover when you are cooking the pasta. Choose a type of pasta where all of the water is absorbed, like couscous or baked varieties (e.g. farfel). Get the Fasta Pasta for the microwave. Boiling large quantities of water in the microwave is inefficient and time-consuming, but with the Fasta Pasta you’ll feed four people in ten minutes. At under $10, it makes a great hostess gift. Make pasta like risotto. Risotto is a soupy rice casserole with vegetables and sometimes meat. It can be cooked on top of the stove or in the microwave. Saute vegetables and add half a cup of stock at time, cooking until the pasta is soft but not mushy. Cook the pasta for less time. If you are cooking pasta to bake in a casserole, it should cook about 2/3 of the recommended time. As with any food, overcooking wastes energy and lowers quality. Cook extra and save. If you don’t add sauce, cooked pasta will keep in the refrigerator for four or five days. You can also double a casserole recipe and freeze. Don’t pre-cook. Prepare the lasagna as usual, but with uncooked noodles. Add extra liquid, cover the pan tightly with foil, and bake. You’ll need to increase baking time as well. You can buy “pre-cooked” noodles, but they are pricey. Drain cooking water from your pasta into a large bowl and use as a base for soups, sauces and stews. It’s loaded with starch, especially if you didn’t use much water to begin with, and will add body to your recipe. Have you used any of these tips? Please share your thoughts in the comments. ack ack! don’t cover it all the way! If you do, you’ll usually end up with the water overflowing and flooding your stovetop, which leads to time and water-wasting cleanup! I was only talking about heating the water before putting in the pasta. Thanks for making that clear! I have been doing most of these things for a long time mainly because I hate waiting for an enormous pot to boil. I only started making lasangna recently and never even thought of pre-cooking the noodles. If I had, I probably would never have tried to make lasagna. What’s a Fasta-Pasta? Follow the link, Risa. It’s a plastic box for making pasta in the microwave. Another good idea is to get a pasta cooking pot that has a strainer insert. Then cook your pasta as usual, and when it’s done, pull the strainer part out with the pasta. Then using the already boiling starchy water make a soup (as mentioned above). By the way, the electric kettle idea is not really a very good one. When you transfer the water from the kettle to the pot, it will lose quite a bit of heat and will have to be reheated using additional energy on the stove! Thanks, Mark. I still think it saves time and probably energy, since the gas stove loses a lot of heat to the surrounding air. I did add your comment to the post. The link doesn’t work 🙁 but I get the idea. I know someone who uses an electric kettle for heating liquids for a lentil dish… I have never considered using it to heat water for pasta – but when my husband uses the electric kettle, it does not seem to heat the water any faster that a pot on the stove. I have always used less water & a smaller pot when cooking pasta. & I use the “no-cook” lasagne noodles – their size works well for my recipe & my square pan. I make pasta in the microwave, without a “fasta pasta”. Just put teh pasta into a large bowl, boil the kettle, pour over enough to cover (1.2 litres for half a bag of pasta, 1.7 litres for a full bag) and put it on high for 8 minutes. The small shapes of pasta like rice-shaped or couscous can be cooked like rice pilaf. Saute very briefly in a bit of oil, then add 2 cups broth or water for every cup of pasta. Thank you for the tip, Faye. I use a kettle to heat the water. Its much quicker then boiling the pot because its a ‘turbo kettle’. But I don’t think its more efficient. Boiling with gas would be cheaper I would have thought. By the way, what do you mean, when you say electric kettles need to be replaced frequently? Hi Harry. I think you’re probably right about the kettle, and I need to update the post. The heating element has a limited lifespan, especially if the water is hard. I will add one more rule. Adding oil that the pasta will not stick is a myth. If the water is instantly boiling and you stir time to time then everything should be ok.